I do not have time to deal with the article itself. As usual it is technocratic, moderate-sounding ‘inside baseball’ about the manoeuvres of EU member states on migration, making out as if it’s oh so reasonable to chip away some more at the only fundamental principle of the European Union that makes it truly different from any other capitalist trade project. What I really want to say is this: if Nick Clegg really thinks that now is the time to make this argument, he is either not a liberal in any sense, or entirely ignorant about what the impact of his words will be. Does he really think that no one in Europe is making the argument to curtail freedom of movement? It seems impossible that he does; for one thing, his own article suggests that literally everyone is already challenging the principle he claims is untouchable, even if only privately. Does he really think no one in the UK is making the argument to curtail freedom of movement? Given he has been one of the leading pro-EU voices in the Brexit farrago throughout its tortured history, it seems impossible that he does. In short, the ‘untouchable principle’ he invokes in his tweet is not just touchable: it’s already covered in the dirty fingerprints and nail gouges of the people who are driving the UK and other European nations rapidly away from liberal democracy. The only explanation for his tweet and his article is therefore that he genuinely believes adding his own voice to the argument against freedom of movement is the most important thing he could do at this point in British and European political history. A real liberal leader would not be giving any space whatsoever to the nativist, authoritarian forces that have risen up in the UK and Europe. Instead, they would be emphasising the popularity of freedom of movement within the EU, which is overwhelming and, if anything, increasing. Compare for example these two charts, from 2015 and 2018, both taken from regular Eurobarometer surveys of public opinion on the EU and its institutions. A real liberal leader would be using the current moment to defend freedom of movement as an absolute red line in the European Union, advocating our continued membership of the EU on that basis, and instead seeking to expand the principle of freedom of movement globally. I long for such a leader to arrive. Sadly, I no longer expect one to come from the ranks of the Liberal Democrats. Even though Clegg is no longer the party’s leader, his legacy and ongoing influence is clear, and the failure of the party and its current leader to counter this craven illiberalism brings shame on all of its members. What Kind of Leader Do the Liberal Democrats Need? This is a fairly long summary of the Clegg leadership of the Liberal Democrats, 2007-2015. If you want to skip to where we are now, and the real answer to the question posed at the top of this post, then scroll down to “Where We Should Go”. I wasn’t around for the last Lib Dem leadership election, in 2007. At that point I was still at university and had shied away from student politics. I am reliably informed that it was a very close race between Nick Clegg and Chris Huhne, one that famously turned on the failings of the Royal Mail. I still believe that the choice the Lib Dems made at that election was the right one, regardless of what subsequently happened to Chris Huhne. On balance, Nick Clegg led the party with decency and endeavour, and succeeded in what was clearly his main goal – putting the party in a position to enter government. Perhaps that sentence reveals the problem with his leadership, though. 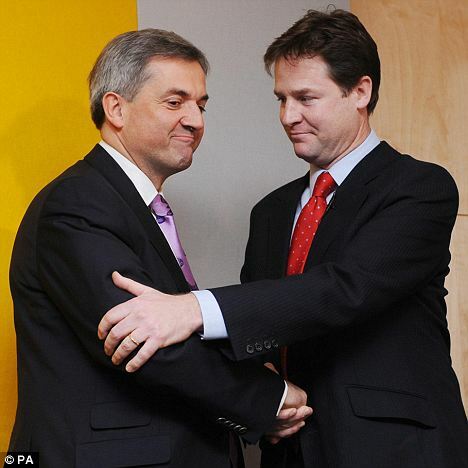 At its heart, Clegg’s leadership always felt responsive, if not reactive. The only time it felt like he was truly setting the agenda was in 2010, at the height of Cleggmania. But even then, the Lib Dems’ campaign felt strangely weightless, and defined the party largely by comparing it favourably to others – most of all by claiming the moral high ground and emphasising that there would be “no more broken promises“. The failure to set out a convincingly liberal case, promoting the party on its own terms, may have been one of the reasons that the “surge” fell away on polling day – although there were any number of other factors, including a traditional third party squeeze as the desire to force Gordon Brown out of office, or keep him there, took its toll. Fast forward five years, and the circumstances were very different – on the surface. We had spent five years “enabling” the Tories to form a government, although Lib Dems, and increasingly others, recognise that much of the substance of the coalition came from our side. Unfortunately, the strategic choice to treat coalition as an end in itself – mainly by defending and “owning” all the policies decided upon by the whole government – was decisively wrong, and again, strangely negative. It would inevitably undermine our independence as a campaigning party, even without the obvious tactical errors that so badly tarnished our trustworthiness and integrity in the eyes of the voters. Clearly, the 2015 campaign was far more focused on positioning the party to enter government for a second time. This was a catastrophic error, which played into the hands of squeeze messages from the two big parties, especially the Conservatives. Others have already analysed the movement of former Lib Dem voters, which seems to have been mainly towards the Tories in key seats. When the question being asked is “security” vs “change”, trying to position yourself as a little bit of both was always doomed to fail. This failure was compounded by an even more insubstantial policy platform than had been the case in 2010. Our policies this time around appeared designed to appeal either to the Tories or to the Labour Party in the event of coalition negotiations. This was made worse by Nick Clegg’s insistence during the campaign on speculating on the constitutional intricacies of the potential result. The campaign was almost entirely negative, and based on a self-defeating and depressing centrism. A final point is that Nick Clegg’s approach to leadership was characterised, in my opinion, by too ready a tendency to surround himself with like-minded people. This is something Michael Dugher criticised Ed Miliband for in an interview in the New Statesman today. But my perception is that it was just as true of Nick, whose advisers were generally young, personable and keen, but may have lacked the kind of campaigning experience and political nous we needed. The same could be said of his approach to coalition negotiations: the team in 2010 was Laws, Alexander, Huhne and Stunell. The reluctance to draw on the experience of older, wiser heads – such as Vince Cable, Menzies Campbell and Charles Kennedy – was palpable, and continued into government, with the marginalisation of Vince at the 2013 party conference particularly egregious. And that’s a quickish summary of how the Liberal Democrats ended up where we are today: reduced to a rump of 8 MPs, with a combined majority of fewer than 25,000 votes, and continuing to see our local councillor base eroded. Notwithstanding the vast number of new members being added daily since the general election result became painfully obvious, we remain a party that has lost its way. Clarify our values – We are a party of values or we are nothing. An effective party of values, however, needs to do certain things. The most important is to achieve clarity about its values… Some of our values are clear – internationalism, protecting individuality and non-conformity, hating bullying and the abuse of power, promoting environmentalism, protecting civil liberties and a love of democracy… But some of our values are not clear. Most significantly, what is our view of economic inequality? While I didn’t agree with everything David wrote in that article, this point is absolutely vital for the party to grasp. We cannot go on fighting from election to election on the basis of what other parties decide to know. We must instead understand the values that are fundamental to the party’s existence. This is the only way we can create a compelling story to tell voters – one that isn’t reliant on a position of negative moderation. To me, that should include a commitment to freedom at the core of everything we do. And yes, that should include maximal economic freedom for every citizen. I haven’t yet fully thought through what this might look like, but I think starting from the point of view of individuals is vital in order to counteract the deadening influence of today’s political discourse. We need to get much more acute in describing what we imagine will be the impact of policies: this requires creative thinking. Perhaps a start would be to identify a few party members of wildly different backgrounds and tell each of their stories under a Lib Dem government. And yes, it’s also time we started talking about a Lib Dem government again. The purpose of campaigning is not to give in to the assumed outcome. Even if you are expecting a hung parliament, the best negotiating position is to have a set of strong, majoritarian policy positions from which to start. This doesn’t mean trashing our record in coalition. But it does mean reappraising it and telling the truth about where we succeeded and where we didn’t. We had some great victories and some appalling defeats. We need to say so, and when we do, we also need to make sure that it doesn’t sound defensive, but is part of the new story we are telling. The new influx of members is truly exciting. A lot of work will need to be done to understand where these people are coming from, and what their reasons are for joining. A mass survey should probably be commissioned as soon as possible in order to hear their views properly and learn from their decisions. My guess is that it will be a real mixture – perhaps mostly entirely new members, but some returners; some who were waiting for Clegg to resign, and others who feel he and the party were hard done by; some who have simply realised too late the need for a liberal party in the UK, and are worried about the Tories governing unfettered and what it means. It shouldn’t be forgotten that there is a bigger constituency of those who have remained with the party, often reluctantly (or in my case intermittently), through the pain, frustration and, yes, anger, of the past few years. These were the people who were trying to maintain the party’s independence through the lean years of government, when even their own party leadership failed to heed their warnings on touchstone liberal issues, and ignored the much-vaunted internal democracy that is generally cherished. And we have to recognise, too, that there remains a large number (although perhaps a minority) of members who feel the approach in government was broadly right, and do not want the Lib Dems to “revert” – as they might see it – to a party of protest for protest’s sake. A new leader must be capable, somehow, of uniting these disparate strands behind a new vision for the Liberal Democrats. They must therefore be someone who understands the Lib Dem membership deeply, ideally through direct contact with the grassroots over a number of years – particularly during coalition. They must also be someone who has not been tarnished in the eyes of voters or members through being too close to the mistakes we made in government. More importantly still, they need to be someone who is capable of galvanising the party into action. This means they need to be a person with energy, character and charisma. Norman Lamb is a good man who has used his time as a minister to make significant improvements to the lives of many people. He’s also clearly able and a decent communicator. It is clear that he’s a valuable asset to the party, and I’m glad that he is standing and providing us with a proper leadership race, rather than a coronation. But he is also Nick Clegg’s former adviser, someone who voted for higher tuition fees, and closely involved in the coalition project. My impression of him, perhaps unfairly, is also that he is relatively technocratic, a calming rather than an energising presence. If you’ll forgive the simile, coming from the party of drug reform, we need something rather more akin to amphetamines than tranquilisers. It will come as no surprise that I believe, instead, that Tim Farron is the leader the Lib Dems now need. During the years of coalition he acted as a critical friend – praising its achievements and maintaining an attitude of loyalty, but also speaking out on issues where the party was losing its way. Some people will think he was too critical, others too loyal; that probably shows that he got it about right, most of the time. He was also an exemplary party President who must have been in contact with more Lib Dem members than anyone else. His responsiveness, enthusiasm and generosity are legendary. But all of this would mean nothing if Tim were not also capable, in my eyes, of taking control of the party and helping us to create a new identity for ourselves. He is a passionate liberal who is better able than anyone else to articulate sometimes complicated political beliefs in simple language. He might come across at times as a bit folksy, but each time I’ve pointed people outside the party towards his speeches, they’ve both enjoyed his style and been impressed by the substance of what he has said. As good an example as any of his ability as a speaker was his speech at last autumn’s party conference. If you’re unconvinced by Tim as a potential leader I’d encourage you to watch it. The Times’ political coverage is, I tend to think, the best of the non-specialist newspapers (I’m not including the FT in that group). Ok, it’s a Murdoch paper and inevitably leans centre-right – but it’s no Daily Telegraph. It’s also distinguished by having a stable of extremely sensible commentators and columnists. These come from disparate backgrounds but are chiefly notable for their fair-mindedness. For me, Clegg was the underrated performer of the night. I didn’t share in the Cleggmania of five years ago; but tonight I was impressed by the sheer determined decency of the man who has seen his party immolated in the cause of the coalition, but who is still positive and hopeful in telling people that only the Lib Dems can moderate Tory cuts and Labour overspends. You may not agree with him, but you ought to salute his spirit. This very much reflects my own view of the Lib Dem leader. After five years of coalition government I can’t help but admire his tenacity, bravery and optimism, whatever I might feel about some of the decisions he’s made on behalf of the Lib Dems. So having watched the heptagonal #leadersdebate, aired on ITV last night, I’ve taken some time to chew over what I saw. I am sure that there has been no end of commentary, and with the Easter Bank Holiday weekend now in full swing, most politically-engaged people will have read much of it already. Certainly on Twitter and Facebook there seems to have been some consensus emerging. A lot of this was around the fact that Nigel Farage is a horrible individual. I’m not sure how surprising that is, but it certainly bodes well for any future EU referendum that even naturally right-wing voters (and I know and love quite a few of those) simply find him appalling. The other thing that came out strongly from many of the responses I saw was that it was great to see some diversity in the debate. Certainly it was good to have some balance, although it was painfully white. I always flinch a bit, too, at the idea that it’s in any way surprising when politicians of the calibre and experience of Nicola Sturgeon – who is, after all, the current First Minister of Scotland, and who has been in government for longer than anyone else on the panel – prove themselves articulate and competent. My main reaction to the debate was that it really was a collision of worlds. There were two separate conversations running simultaneously, each only including some of the leaders. Nigel Farage was of course having his own personal conversation, aimed at people who already think he is Churchill reborn. On one hand, you had a serious-minded, largely managerial discussion between David Cameron, Nick Clegg and Ed Miliband on the realities of government and policy. This was painfully familiar to those of us who live and breathe the political process, but would still have been relatively new to most voters. I thought all three leaders did well in stating their case, but that as in 2010, Clegg did a particularly effective job in demonstrating that there is a middle ground to be found. It felt far less fresh this time around – and will have a drastically diminished impact on the Lib Dems’ fortunes – but it will still have an impact on the ground. On the other hand, you had a far more free-wheeling conversation led by the anti-austerity brigade. Sturgeon in particular took on Clegg’s 2010 mantle as the sharp, intelligent and human alternative to “politics as usual”. She also capitalised well on the other leaders’ ignorance of Scottish politics, which enabled her to make bold assertions on issues like privatisation and funding of the Scottish NHS that, on closer inspection, simply fall apart. To me, the big tactical question of the evening was whether Ed Miliband would get dragged into that debate. He will be pleased today that he largely avoided it. The decision he had to make was whether to present himself as the main challenger to David Cameron, or to spend his time fending off attacks from smaller parties. He chose the former – correctly – and emerged unscathed. What does it all mean? In terms of this campaign, very little. None of the parties will receive a major boost in the polls as a result of the debate. While Sturgeon probably “won”, as far as anyone could, her party has already risen as high as it can in Scotland alone. 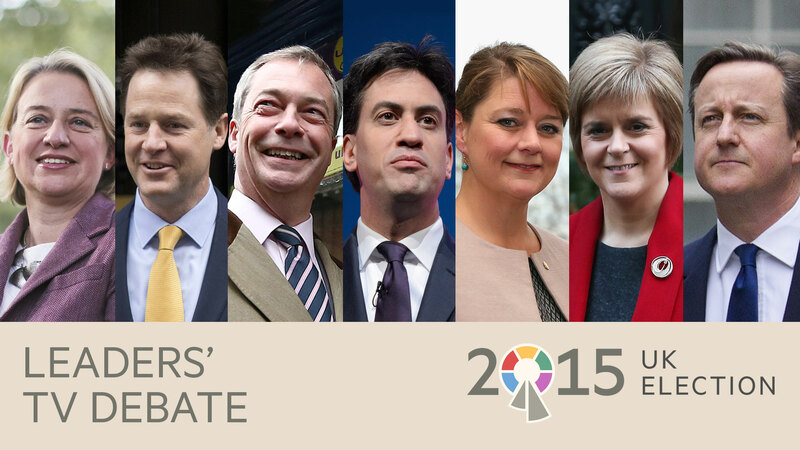 Does a seven-strong debate change the view people have of general elections? Perhaps. But until we have seven parties capable of having one conversation, not much will change.